John Winchcombe (1465-1519), previously from Barking in Essex, relocated to Newbury in Berkshire and became a clothier. He ended up marrying his master’s widow and grew his business to a sizable manufacture within the cloth industry. 1489 John Winchcombe II was born in Newbury and christened with the same name as his father, John Winchcombe. 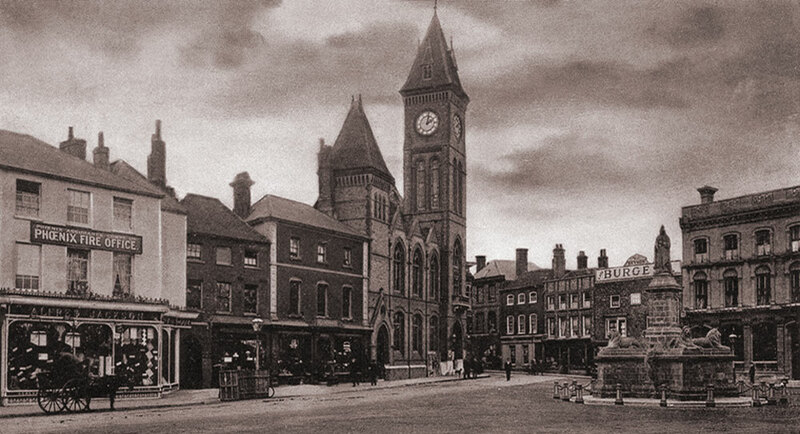 Between 1509 and 1533 John Winchcombe and his son (Jack of Newbury) rebuilt Newbury's Parish Church of St. Nicolas along Bartholomew Street from the pulpit westward to the tower inclusively. The merchant mark of John Winchcombe, which was a capital 'I’ with a lower-case sigma across the centre, appears regularly among the roof bosses in the nave. February 1519 John Winchcombe senior died, he was buried at St. Nicolas Church in Newbury. A brass memorial still survives to his memory today. 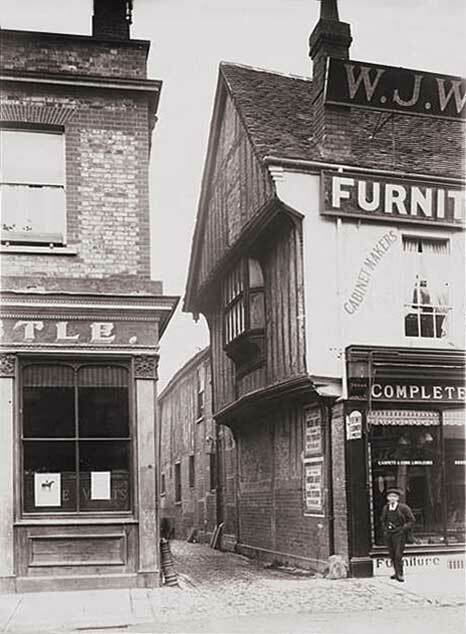 Already a wealthy clothier, John merged his and his father's local business in Newbury. Johns growing prosperity led to a significant rise in his status, he became one of the Berkshire gentry. Many of John's workers were involved in the manufacturing of woollen cloth, it is thought there would be between 30–50 looms. The cloth required the processes of spinning, fulling, combing, weaving, and dyeing. Woad was his most important dye, being often delivered by the cartload. According to a surviving order, it shows an order for 541 cwt, over 27 tons of woad. Manufacturing about 6,000 cloths a year which made John one of the leading clothiers in England. He exported a type of cloth called 'kerseys' via London to the fairs at Antwerp in Belgium, where the Winchcombe cloths were recognised as the best of the kind and were in great demand. Italy, Germany and Hungary were among the other locations being exported too. Each kersey was about a yard (0.9m) wide, and 17–18 yards long. Thomas Cromwell (1485-1540), 1st Earl of Essex and the minister of King Henry VIII (1491-1547), placed an order for 1,000 Winchcombe cloths. Cromwell would later be executed for treason and heresy at Tower Hill, London on 28th July 1540. 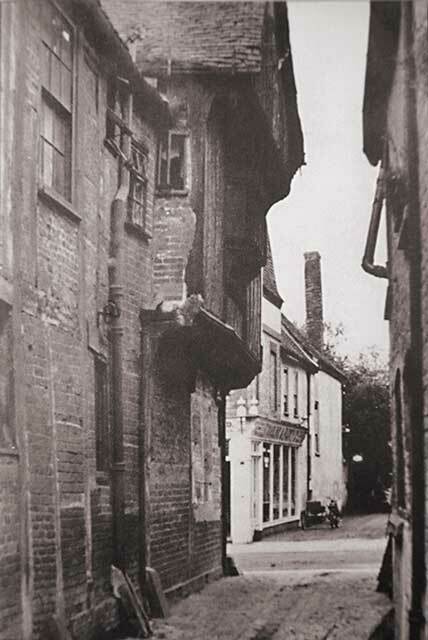 John was living along Northbrook Street, Newbury in a timber-framed building, between Marsh Lane and Jack Street. Today the site is occupied by Marks & Spencer and previously the Jack Hotel. Only the side of the original building still survives, external carvings and mouldings can still be seen on the building along Marsh Lane. The property went back towards the Marsh, now known as Victoria Park. 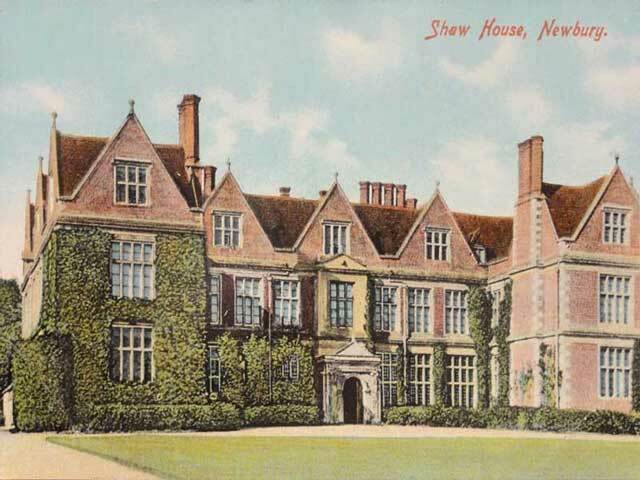 The building included a panelled hall and parlour, numerous chambers (bedrooms), buttery, kitchen, cheese house, bake house, bolting house and a Brew house, all located around courtyards. John had become a Justice of the Peace, and a Member of Parliament. He led a group of clothiers from six counties in a national campaign to persuade King Henry VIII to change the law for the woollen cloth industry, the campaign had a successful result. 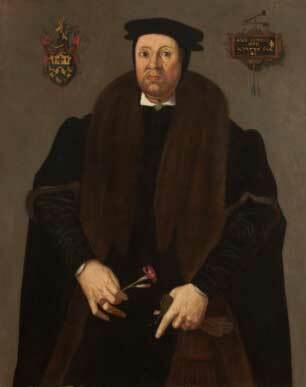 Henry VIII gave John a number of deputations on the regulation of the woollen cloth industry. 6th January 1540 John was one of the people invited and present at the reception to the wedding of the Kings fourth wife, the German Princess Anne of Cleves (1515-1557) at the royal Palace of Placentia in Greenwich, London. 1540 With his wealth, John began buying land in and around Newbury, he purchased the parishes of Bucklebury and Thatcham for £2,619.13s. 4d. from the Crown. At Bucklebury an existing Abbot’s house that belonged to Hugh Faringdon was demolished and built an impressive Tudor Mansion named 'Bucklebury House' in its place. The estates at East Lockinge and East Shefford would also become acquired by John. 1544 Due to John being one of the Berkshire gentry, he was asked to contribute some of the 150 men in his workforce to the army that was to besiege the fortified town of Boulogne in France on 19th July. The siege would last for nearly two months, and on 14th September after heavy bombardment, Boulogne was captured by the combined armies of Henry VIII and Emperor Charles V.
1550 John was granted a coat of arms, he also had a portrait of himself painted, the frame is inscribed: ‘In respect of things aeternal This is veari vayne and mortell, Spende well thi mortell Lief therefore What thou maist leve for Evermore’. 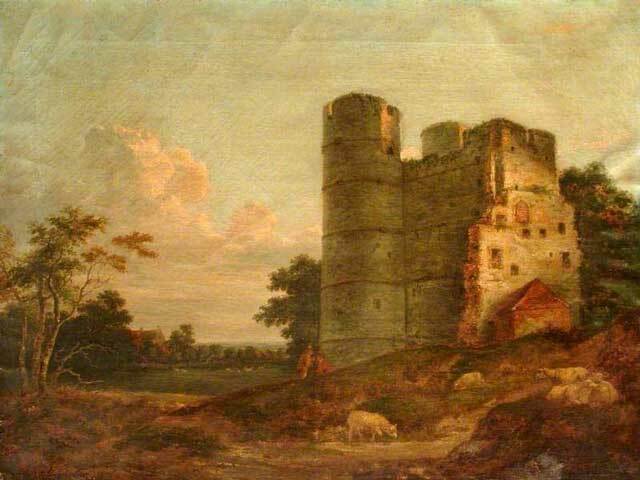 The painting would later be bought for £5 and displayed within Newbury Town Hall during 1835. 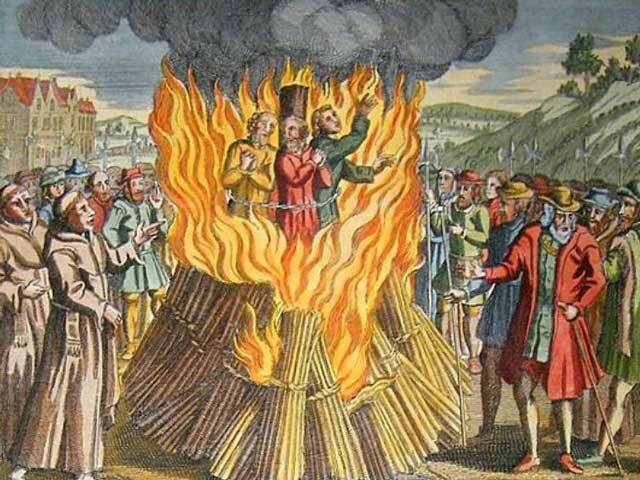 15th July 1556 John was one of the members of the court held in St. Nicolas Church that tried three Protestants, the 'Newbury Martyrs' for sedition and religious heresy under the law of Queen Mary (1516-1558), the punishment was to be burned at the stake. 2nd December 1557 John wrote a will, soon after he died. He was survived by his wife and children, John, Thomas, Henry and Anne. 8th December 1557 John Winchcombe was buried at St. Nicolas Church. During the 1590s, a fictional novel 'The Pleasant Historie of John Winchcombe, in his younger years called Jack of Newbury', was written by the Elizabethan novelist, Thomas Deloney (1543-1600). The publication was about the early years of John Winchcombe's life, he was introduced as 'Jack of Newbury' but as time went by, the novel went through many editions and the name changed to 'Jack O'Newbury' in later publications.